British Library Prints features the most popular images from the British Library’s archives, from iconic documents such as the Magna Carta to 20th century photographs by Fay Godwin. 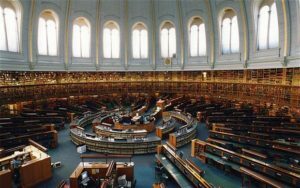 The British Library receives a copy of every publication produced in the UK and Ireland. We hold over 150 million items, including maps, rare books, illustrations, paintings and photographs. 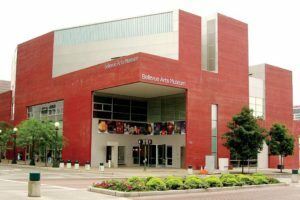 Bellevue Arts Museum is the Pacific Northwest’s center for the exploration of art, craft and design through exhibitions, educational programs and partnerships, emphasizing the work of regional artists. 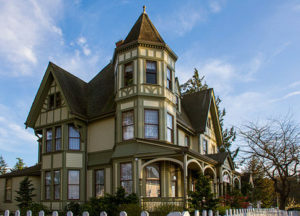 Established in 1997, The Pacific Northwest Quilt and Fiber Arts Museum is housed in the historic 1891 Gaches Mansion in the artistic waterfront town of La Conner, Washington. 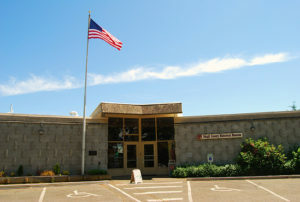 This unique museum features three stories of quilts and textiles that range from traditional to contemporary, with a focus on works from the Northwest. On the first floor, Victorian-era furnishings complement changing selections from the growing permanent collection. 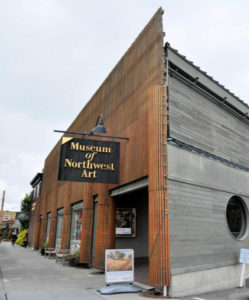 The Mission of the Museum of Northwest Art is to collect, preserve, exhibit, and interpret art by Northwest artists. Our growing collection includes over 2,500 contemporary art objects from the early 1900s to the present day. 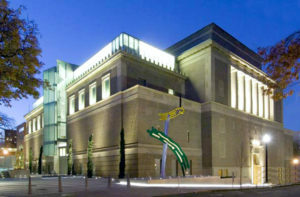 A museum internationally recognized for its permanent collection and ambitious special exhibitions, drawn from the Museum’s holdings and the world’s finest public and private collections. Explore Skagit County’s rich and rugged heritage by touring the Skagit Legacy exhibit filled with scenes of early Skagit life from the mountains to the sea. From parlors to plows, Native American baskets to Shirley Temple dolls, the Museum galleries are overflowing with interesting and often unusual treasures of Skagit County’s vibrant past. 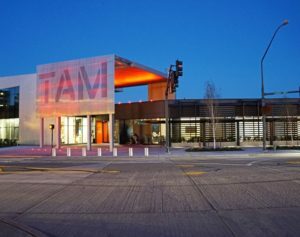 Tacoma Art Museum was founded by a group of volunteers in 1935 and has since grown to become a national model for regional, mid-sized museums. 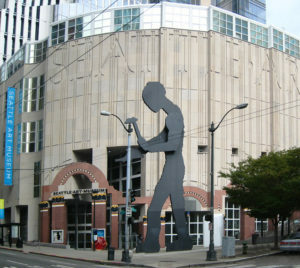 The museum is dedicated to exhibiting and collecting Northwest art, with the mission of connecting people through art. The museum’s permanent collection includes the premier collection of Dale Chihuly’s glass artwork on permanent public display. So many specialist art and needlework books can be found here, both new and used. A broad range of art and stitch supplies too! A variety of art materials with excellent product information. Gene’s Art & Frame has been offering fine art supplies and custom framing services to the Whidbey Island, WA area since 1967. The staff is friendly, familiar with frequently used items and our students. A great resource for basic fabrics and tools. PFAFF U.S.A. provides our center with Pfaff Creative 2144 and 7570 sewing machines for the use of students who would like to use one during any of the courses. A reliable dealer for Pfaff Sewing Machines with good customer follow up. They have a really large selection of specialist threads and items specifically for machine embroidery. The store in Mount Vernon is approximately 12 miles from our center in La Conner, which makes it an easy stopping place for our students travelling to us from Seattle. The store in Bellingham is any easy stop for our students travelling to us from Canada. Stitches is a complete resource for fibre art and mixed media supplies. Established 14 years ago, Stitches has become a destination for artists looking for textiles, metals, foils, paints, fibres, yarns and quilting cottons. The shop boasts rooms bursting with art quilts, knitted samples, all the latest books on surface design and art quilting. The Color Wheel Company manufactures and sells a large selection of color wheels, color mixing guides, color charts and color tools for artists. Specialty silk threads, ribbons, and many other luscious fibers. SAQA is an international non-profit organization dedicated to promoting the art quilt and the artists who create them. We are an information resource on all things art quilt related for our members as well as the public. Founded in 1989 by an initial group of 50 artists, SAQA members now number more than 3,000 artists, teachers, collectors, gallery owners, museum curators and corporate sponsors. SAQA WA is your local Washington SAQA region. At 82 members strong and growing, we are rapidly coalescing as a force to advance the work and interests of local artists, whether they are professional artists, hobbyists, beginners, or collectors of beautiful fiber art. We’re excitedly preparing for our 2017 exhibition: the State of WA-ter. SAQA WA co-reps Carolyn Higgins (carolyn.higgins125@gmail.com) and Lisa Jenni (lisa@lisajenni.com) are delighted to answer your questions. SDA is an international community engaged in the creative exploration of fiber & fabric. Our mission is to promote awareness & appreciation of the textile arts. Through member-supported publications, exhibitions & conferences, we inspire creativity, encourage innovation, & advocate excellence. SDA WA is the state organization with organized meetings throughout 7 different areas in the state, education and exhibition opportunities. A magazine that connects and inspires the fiber arts & textiles community with the most compelling work in basketry, felting, knitting, needle arts, paper/book arts, dyeing, mixed media, surface design, quilting, sculpture, wearable art, weaving, collage, encaustic, mixed media and more. Selvedge Magazine – covers fine textiles in every context: fine art, interiors, fashion, travel and shopping. There’s a reason why we are so often voted the most perfect Washington state weekend getaway destination– it’s the same reason we love living and working here. Plain and simple … not only is it beautiful, but our community is full of genuinely warm and friendly folks.